In an effort to decongest prisons across the country, the federal government has released 126,500 inmates from prison through the efforts of the Stakeholders Committee on the Decongestion of Prisons. 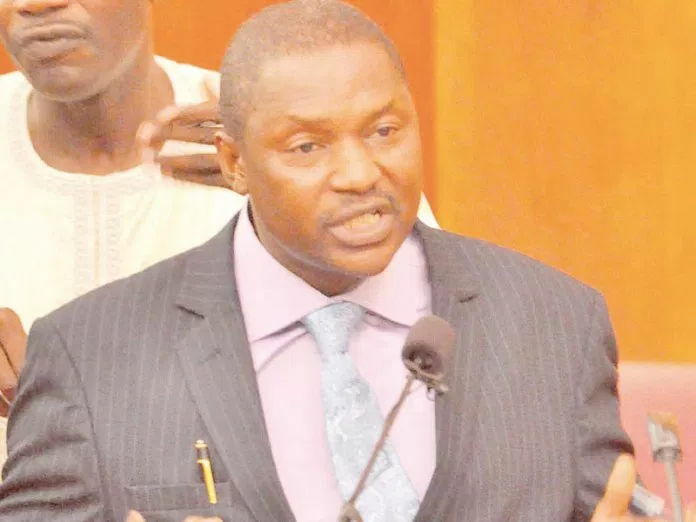 The Attorney General of the Federation and Minister of Justice, Abubakar Malami (SAN), gave the statistics just as Rivers State and the federal government agreed to work towards the decongestion of the Port Harcourt Federal Prisons. The AGF spoke yesterday in Port Harcourt when he led a delegation of the Stakeholders Committee on the Decongestion of Prisons, which included the Chief Judge of the FCT High Court, Justice Ishaq Bello, on a courtesy visit to Rivers State Governor, Nyesom Wike. He said the Stakeholders Committee on the Decongestion of Prisons was established following a directive of President Muhammadu Buhari to work with the Stakeholders and agencies of the criminal justice system to decongest the prisons. He said the committee is working on the decongestion of the nation’s prisons without compromising national security. The AGF noted that the committee would find immediate solutions to cases that require payment of fines, while working with other stakeholders for long term solutions. Malami noted that most of the inmates in Nigerian prisons are between 18years and 25 years, with most of them involved in drugs. He regretted that over 70 per cent of the inmates are on awaiting trial for minor offences such as stealing of sugar cane and tubers of yams. Meanwhile the Rivers State Government has agreed to work with the Federal Government towards the decongestion of the Port Harcourt Federal Prisons. The two parties reached the decision after at the courtesy visit to Wike by the Stakeholders Committee on the Decongestion of Prisons. Wike said the Rivers State Government has already started the process of decongesting the Port Harcourt Prisons through the Chief Judge of the state who released some inmates last year. He added that his office, based on the advice of the Committee on the Prerogative of Mercy, also released some prisoners. He said: “The congestion of the Port Harcourt Federal Prison is a major concern. That is why the Rivers State Government has commenced the process of decongesting the prison. The governor said the committee would succeed in the delicate assignment when it develops a system that will protect all the officials who will work directly in the process of prison congestion. Wike pointed out that the closure of the courts in Rivers State between 2013 and 2015 negatively affected the criminal justice system of the state, hence the prison situation. Also speaking, Chairman of the Stakeholders Committee on the Decongestion of Prisons and Chief of the FCT High Court, Justice Ishaq Bello, said the condition of Nigerian prisons is dehumanizing, adding that the prisons terrorises the psyche of inmates. Justice Bello said the prisons are so congested that inmates cannot find spaces to sleep or even sit properly.